Westbourne Motorsport are aiming to add to their tally of victories this weekend [14-15 September] as the Renault UK Clio Cup returns to action at Silverstone. Back from a trophy-laden weekend in the Michelin Clio Cup Series at Anglesey and another outing at the historic Goodwood Revival, attention now turns to the Vantage Motor Group and GardX Protection-supported outfit’s title challenge with BRDC Rising Star James Dorlin. Just 30 points separate the Barnsley-based racer from the points lead, with 112 still on offer as the series concludes in a fortnight at Brands Hatch on the Grand Prix loop. Indeed, Silverstone saw an emphatic wet-weather victory for Dorlin this time last year, fuelling optimism this could be the double-header that sees another shift in the momentum of the 2018 title fight. Also pushing for a return to the top step of the rostrum is James Colburn, and with past success at the 1.6 mile National circuit in both the UK Clio Cup, Michelin Clio Cup Series and Saxmax is another force to be reckoned with. 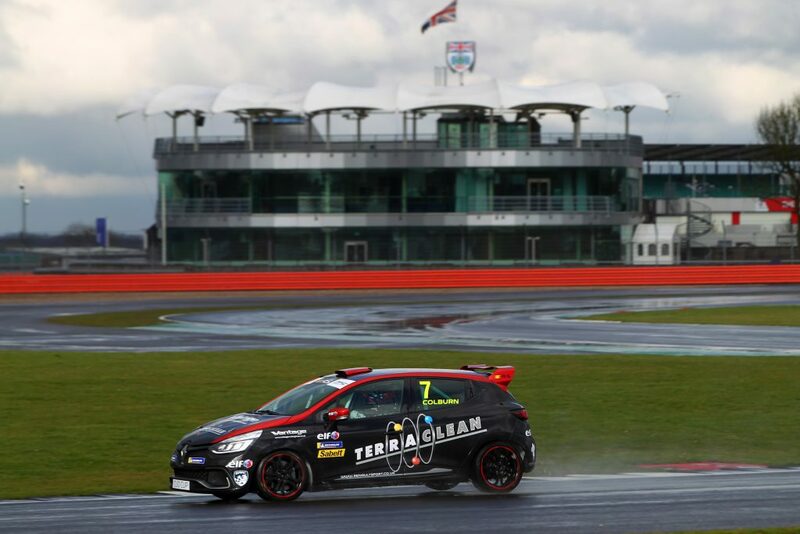 Rockingham saw a welcome return to podium contention for Colburn after a spell of consistent points finishes, with the Terraclean-supported racer now keen to end the campaign on a high note. The trip to Corby was less fruitful for sibling Ben after an accident left the #55 machine with extensive damage. Repairs have been carried out and, fresh from a podium double at Anglesey, Colburn will now look to continue his development behind the wheel of the fourth generation Clio Cup car. The weekend gets underway with qualifying at 11:25 on Saturday ahead of the opening race at 16:00. The second and final contest will be televised live nationwide on ITV4/HD at 16:00. Just two weeks remain in the UK’s most hotly-contested single make category – will this weekend see another twist in the tale of the 2018 title fight? James Colburn (#7) said, “One of the most crucial factors this weekend is going to be getting a good tow during qualifying. “Obviously James [Dorlin] is in the hunt for the title, and I’m looking to end the season well for all of my sponsors – Vantage Motor Group, GardX Protection and Terraclean. It’s at this stage I now have to think about team results, and what I can contribute to achieve the best possible result for everybody involved. James Dorlin (#32) said, ““We’re heading into the final two meetings of the season now, and things are getting really close in the championship fight. “I’ve absolutely no doubt in my mind that we’ll be able to close the deficit this weekend, but this season is proving impossible to predict. I feel I’m in a strong state of mind now, and I’ll be going out to win as many races as possible before the end of the season, rather than worrying about finishing in specific positions to bag points. Let’s see what happens. Ben Colburn (#55) said, “I’m really looking forward to this weekend at Silverstone and continuing to develop with the car, but the main thing I would like to put on record is a massive ‘thank you’ to the team who have worked tirelessly back at the workshop to fix my car after the accident at Rockingham. Tagged Ben Colburn, James Colburn, James Dorlin, Renault UK Clio Cup, Silverstone. Bookmark the permalink.